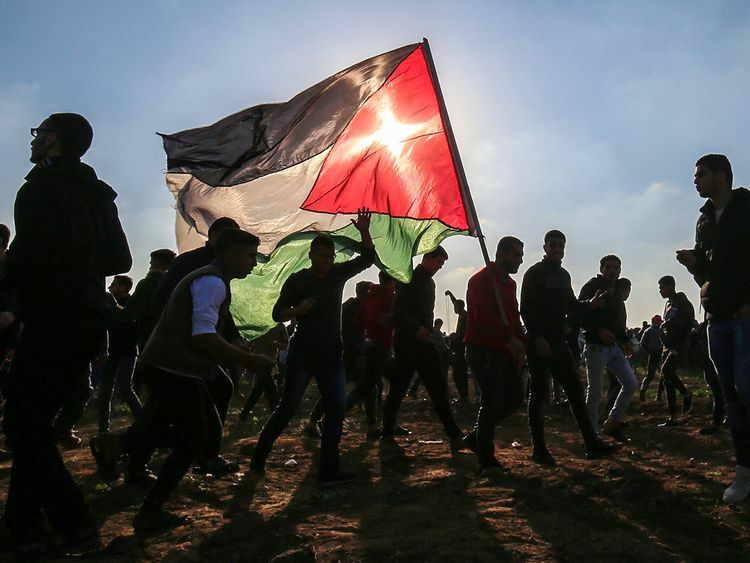 A year ago today, Palestinians began weekly protests in Gaza dubbed the “Great March of Return”. They demanded their right to return to their homes from which they fled or were expelled in 1948 when the state of Israel was created. While the protests were largely peaceful, Israel responded in typical fashion — with brutal force. At least 258 Palestinians were shot dead by Israeli snipers during the course of the year, hundreds more have been left limbless after Israeli bullets shattered the bones in their legs. A UN Commission of Inquiry, which began nearly a year ago, said last week that Israel should investigate the shootings of more than 6,000 people, far beyond the criminal inquiries it has announced into 11 killings. Last month UN human rights experts said Israeli soldiers may have committed war crimes. It found reasonable grounds to believe that Israeli snipers knowingly shot at children, medics and journalists. It is not the first time Israel has been accused of a war crime and it certainly won’t be the last. Just last week, two weeks ahead of Israeli elections, Israel pummelled Gaza with air strikes. Since 2008, it has launched two brutal assaults on Gaza, bombing civilians, leaving thousands dead. Since 2007, Israel has imposed a crippling land, air and sea siege on Gaza, effectively turning it into an open-air prison. As a result, the majority of Gazans live below the poverty line and unemployment is rampant. Israel has shown little regard for Palestinian lives, in Gaza and elsewhere in the Occupied West Bank and Occupied Jerusalem. It has upheld a systematic policy of confiscating Palestinian land to build Jewish colonies; it routinely demolishes Palestinian homes and encourages Jewish raids on Muslim holy sites. While the UN has condemned Israel’s actions, Israel has always found a friend in the US to come to its rescue and veto resolutions against it. It seems like the transgressions against Palestinians have gotten progressively worse under the US administration of Donald Trump. Not only has the US shifted its embassy from Tel Aviv to Occupied Jerusalem but it has recently recognised Israel’s illegal annexation of the Occupied Golan Heights — a Syrian territory. As Israel has demonstrated its disregard for Palestinian lives it is important that it is still held to account. While the US protects Israel at the UN, this should not deter the world from condemning Israel’s policies. Now, more than ever, there needs to be a global consensus which calls for Israel to be held to account.